Grand Canyon East Rim. Visit 'Desert View' beauty. The Grand Canyon East Rim is not really a rim at all. It is commonly referred to as “Desert View”. It offers a tranquil and captivating views. Experience the most majestic natural wonder of the United States. While situated on the southern rim of the national park, Desert View (or, the Grand Canyon East Rim) is relatively small – yet immensely gorgeous. This settlement site is near the eastern edge of the wonderous Grand Canyon National Park. The area connects with the Grand Canyon Village by way of the Arizona Highway, known as either “64” or “Desert View Drive”. Not only will you find the views immense at the East Rim, you will discover memorable and spectacular attractions that will transform an ordinary trip into an extraordinary adventure! 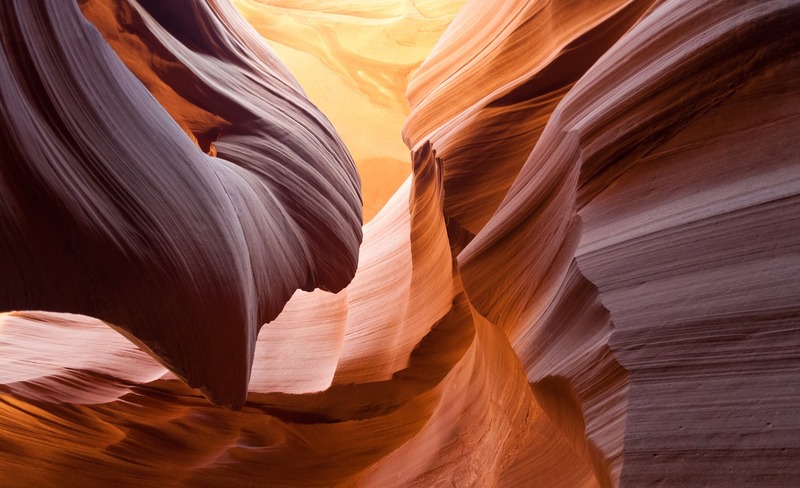 If you have a passion for natural beauty and a fine appreciation for natural rock formations, tantalizing colors, and natural immensity, you are sure to enjoy Antelope Canyon. Travelers to the region are offered a personalized tour from a Navajo guide through the naturally sculpted, vibrant sandstone cliffs. You will be taken away by the unique combinations of size, color, and the ambient lighting that so gently hangs over the canyon. Narrow slits in the earth boast some of Mother Nature’s most profound secrets, such as colorful, sculptured hidden rocks, desert terrain, and captivating wildlife. No visit to the Grand Canyon East Rim is complete without the exploration of this gorgeous canyon. Antelope Canyon was created as a result of millions of years of water erosion. The Navajo call the upper region “Tse’bighanilini”, which translates to the “place where the water runs through the rocks”. You’ll love exploring this mysterious and beautiful region; however, due to the potential dangers, a tour guide is highly recommended so that you and your loved ones are kept in the safest regions. It’s a breathtaking scene that allows you to intimately explore the hidden depths of the Grand Canyon. 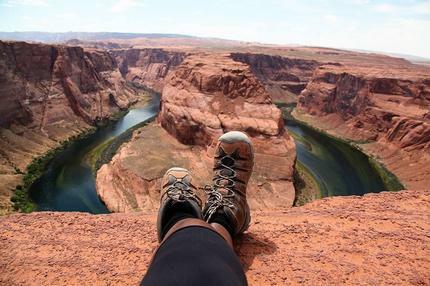 Make a point to experience firsthand – the amazing beauty at Horseshoe Bend while visiting the Grand Canyon East Rim. This area was appropriately named for its horseshoe-shaped meander of the Colorado River. 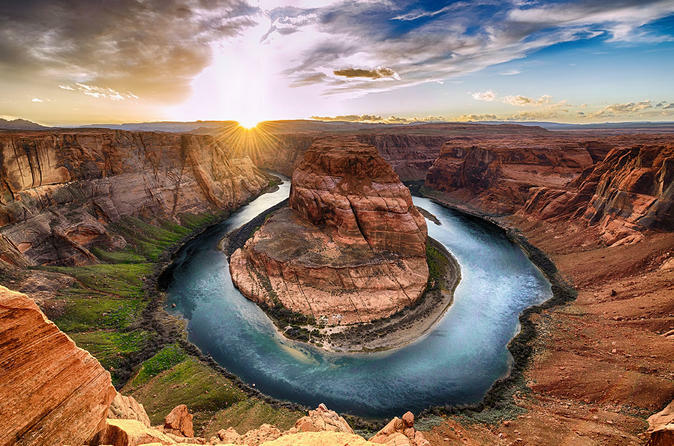 Situated just outside of Page, Arizona, it is just 5 miles away from the popular Lake Powell and Glen Canyon Dam, which is part of the Glen Canyon National Recreation Area. The overlook of this natural wonder is an amazing 4,200 feet above traditional sea level. The drop to the Colorado River is a whopping 1,000 feet. While exploring this amazing attraction, you will observe rock walls containing garnet, hematite, and a multitude of other exquisite minerals, as well as a vast array of wildlife and beautiful plant life. The nearby Flagstaff region offers amenities for your visit such as lodging, campsites, shopping, and food. If these attractions sound like an enjoyable experience, hop on the Antelope Canyon and Horseshoe Bend day tour. This family-friendly tour provides courteous and personal service to all. You will receive free pickup at the hotel, as well as a free hotel drop off at the end of the day. You will then tour both of the attractions with a local, highly-knowledgeable Navajo tour guide. In total, the hiking aspect of the tour is approximately two miles. The tour departs by 8:00 am and lasts an average of 9 hours. There is absolutely no limit to the beauty that you will experience, the wildlife that you will see, and the nooks that make these destinations a favorite among travelers! 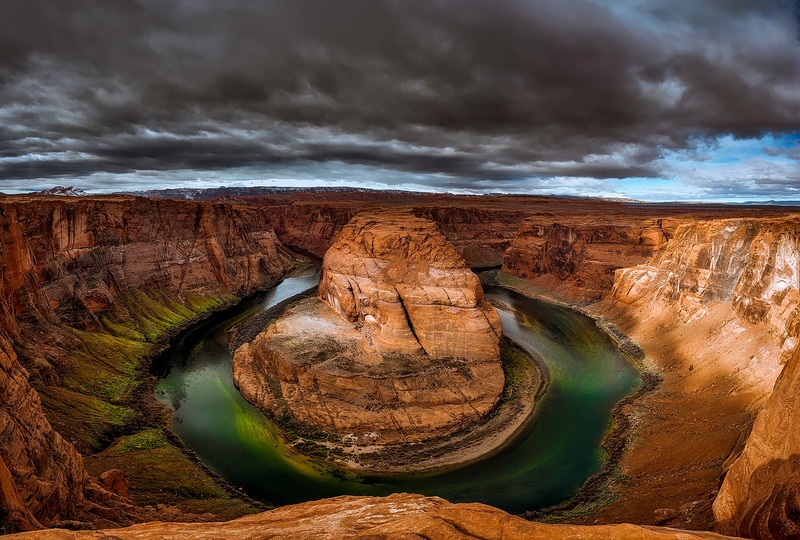 In addition to all of the previous perks, you will receive a picnic lunch at the Glen Canyon Dam, and a vast amount of photograph opportunities. By taking part in this magnificent Grand Canyon East Rim tour today, you will be taking the steps necessary to create numerous memories that can be enjoyed for the rest of your tomorrows!